Selecting the best nursing school in West Virginia can be difficult. To make the process easier first look for a school that supports students towards licensure and beyond. A great way to measure this is through NCLEX-RN "pass rates." We have ranked the top 10 nursing schools in West Virginia by analyzing current and historical NCLEX-RN "pass rates", meaning the percentage of graduates who pass the exam, out of the 26 RN programs in the state. Programs reviewed include schools that offer an Associate in Nursing (ADN/ASN), BSN, or Direct-Entry MSN Degree. 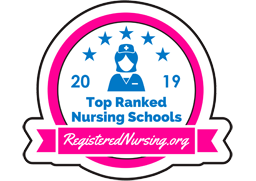 For more information on our top nursing school rankings, see our Methodology Page (https://www.registerednursing.org/rn-ranking-methodology/). West Virginia may be small, but that doesn't mean nursing jobs in the state are scarce. 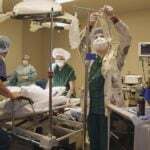 With over 30 hospitals and nearly 6,000 staffed beds, registered nurses are in demand. In fact, West Virginia has one of the highest concentration of registered nursing jobs in the nation, according to the Bureau of Labor Statistics. There are also an astonishing 107 Health Professional Shortage Areas (HPSAs) in West Virginia. HPSAs are designated as having shortages of primary medical care, dental or mental health providers. Opportunities for skilled registered nurses in West Virginia are plentiful, with a competitive average salary of roughly $55,000 per year, with the potential to earn more for experienced nurses with advanced nursing degrees. If you are looking to get your Associate's Degree in Nursing (ADN), West Virginia has plenty of schooling options. An ADN is one of the quickest routes to becoming a registered nurse, as it is a 2-year program. The state boasts over 10 different schools that offer an ADN program accredited by West Virginia's Board of Examiners for Registered Professional Nurses. Many of the schools are community/junior colleges or technical colleges, although some state universities offer the ADN program as well. You will want to find a school that has legitimate accreditation to ensure that it's up to industry standards. Aside from an accreditation from a national organization like the Accreditation Commission for Education in Nursing (ACEN), you will also want to look for schools that hold accreditation from local places like the West Virginia Council for Community and Technical College Education and the West Virginia Board of Examiners for Registered Professional Nurses. You will want to ensure that upon completing the ADN program at your preferred school that you will be eligible to take the National Council Licensure Examination for licensure as a Registered Nurse (NCLEX). In 2015, 86.7% of West Virginia new nurse graduates that took the NCLEX received a license. Fairmont State University, located in Fairmont, West Virginia, is a great example of a school that offers an accredited ADN program. Tuition can vary from school to school, but it's important to remember that there are other costs associated with ADN programs aside from just tuition. Textbooks, fees, and uniforms are all examples of costs you may incur, and these may or may not be included in the price of your school's tuition. As an example, the estimated cost for the 2-year ADN program at St. Mary's School of Nursing through Marshall University in Huntington, West Virginia is roughly $13,000 for in-state students. This cost includes extras such as textbooks, fees, and uniforms. 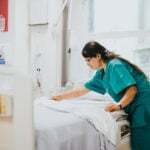 Since there is a nursing shortage in West Virginia, the main advantage to getting your associate's degree in nursing is that it's a short 2-year program and you'll have the ability to enter the workforce faster. It's also more affordable than going through longer programs. Community and technical colleges also tend to have more flexible class schedules, meaning that an ADN is a great choice if you are looking to transition to a new career but are still working full-time. For those who have already completed Licensed Practical Nursing (LPN) education, there are accelerated pathways to an RN degree. LPN to RN programs help nurses transition to this higher-level profession, often much faster than a traditional program typically takes. This specialized pathway gives students credit for prior nursing courses completed in their LPN curriculum. Students choosing the LPN to RN pathway have a choice in which degree they want to end up with; they can choose to earn an ADN or a BSN degree through the program. The LPN to ADN choice is the shortest, usually taking just a few semesters of study to complete. Bluefield State College is one example of a college offering this LPN to ADN pathway in the state. For those who choose to earn a bachelor's degree, the LPN to BSN program takes a little longer than it's ADN counterpart. Phillipi's Alderson Broaddus University offers a 36-month LPN to BSN program for students interested in a more intensive nursing education. With a little more schooling, you can earn your Bachelor's of Science in Nursing (BSN). There are around 6 schools in the state with BSN programs that are accredited by West Virginia's Board of Examiners for Registered Professional Nurses. These 4-year programs allow for advanced earning potential and greater nursing career prospects than an ADN alone. Many of the big universities offer BSN programs. Like ADN programs, you'll want to find a reputable and accredited school for your BSN program. Many schools in the state also offer an RN to BSN program, so that if you already hold an ADN or LPN license, you can continue on and earn your BSN. The University of Charleston, located in Charleston, West Virginia, is an excellent example of a school that has an accredited BSN program. BSN programs are 4 years in length. However, if you are already an RN, you can earn your BSN in approximately 2 years. Tuition costs will for the BSN program will fluctuate depending on which school you choose, and similar to the ADN programs, you will need to factor in additional costs. As an example, tuition for the BSN program at West Virginia Wesleyan College in Buckhannon, West Virginia is $14,287 per semester for all students carrying 12 through 17 credit hours of work. This does not include the additional expenses of uniforms, professional equipment, exams and fees, background checks, books, and travel. BSN programs are beneficial due to the increased earning power a nurse with a BSN holds. More career advancement opportunities also tend to be present when you hold a BSN. Don't forget that there are also many RN to BSN programs for nurses who want to advance with a BSN. A Master of Science in Nursing (MSN) is an advanced nursing degree for those who want to become advanced practice registered nurses (APRNs). This advanced degree can lead to nursing jobs including Clinical Nurse Specialist, Certified Nurse Midwife, and Nurse Practitioner, among other nursing specialties. There are more than 3 schools in the state that offer MSN degrees accredited by West Virginia's Board of Examiners for Registered Professional Nurses. An RN to MSN program can last roughly 3 years, depending on the school and the previous coursework the student has taken. 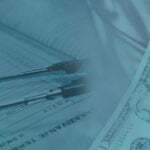 Costs for MSN programs vary. As an example, Wheeling Jesuit University, located in Wheeling, West Virginia, charges $665 per credit for their MSN program, as well as a $130 per semester technology fee, a $212 per course audit fee, and a $265 graduation fee, among other fees. 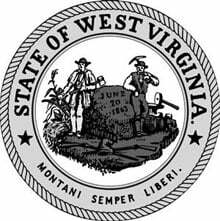 West Virginia regulations for nursing licensure requires candidates to file their application online for either examination process or by endorsement. Both processes also require submitting further information. If you could see yourself in 12 to 18 months graduating from a degree program, would you take the opportunity? The short timeframe needed to complete the accelerated BSN program at one of the few state programs is exactly that 12 to 18 months for completion. Programs are intensive and rigorous due to the course load and clinical hours required, and additional courses will have to be taken prior to entry into the program if you do not meet all of the entrance criteria. Additional costs in tuition fees are possible due to these courses and a number of other factors. Look at each college program to decide which program best fits your needs. West Virginia University's nursing program values are that of integrity, excellence, and inclusiveness. These values translate into a renowned nursing program that is well respected in the nursing field. Graduates are groomed for successful employment as RNs. Visit the West Virginia University nursing website to learn more. The Morgantown campus of West Virginia Junior College offers an ADN pathway for those who aspire to become RNs. This direct-admittance program boasts a curriculum that combines critical thinking skills with nursing values, and is delivered in a format that includes classroom, laboratory, and clinical learning. It is accredited by ABHES and board-certified. Check out the official West Virginia Junior College nursing program. Partnerships, interactive faculty, assignments with other students, and collaboration with outside clinicians all make the BSN program at University of Charleston stand out. Upon completion, graduates are geared for success with confidence, knowledge, and skills. Learn more by visiting the University of Charleston nursing website. West Liberty University’s pre-licensure BSN program is geared toward high school graduates. This CCNE-accredited program utilizes experienced faculty and a well-rounded curriculum complete with clinical opportunities to educate the next generation of registered nurses. Follow the link to learn more about the West Liberty University nursing program. 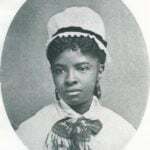 West Virginia University Parkersburg is home to renowned nursing degree tracks. Students graduate with a sense of ethics, accountability, and purpose. Upon completion of the program, graduates are motivated to positively impact the face of healthcare. Visit the West Virginia University - Parkersburg nursing website to learn more. Advocating, educating, and providing direct care to patients are just a few of the values implemented in the nursing program at West Virginia Northern Community College in Wheeling. Upon graduation, students will be able to promote self-advocacy, determination, and ongoing growth within their patients. Follow the link to learn more about the West Virginia Northern Community College - Wheeling nursing program. New Martinsville’s West Virginia Northern Community College boasts an ADN pathway that aims to educate students on how to make sound judgments, create caring relationships with patients, practice safe and efficient nursing care, and more. This program is ACEN-accredited and board-approved. Follow the link to learn more about the West Virginia Northern Community College - New Martinsville nursing program. The ultimate goal of the nursing program at St. Mary's School of Nursing is to teach students to become compassionate RNs. The Cooperative ASN Program at the school is provided through a partnership of St. Mary's School of Nursing and Marshall University. The campus is on the grounds of renowned St. Mary's Hospital, making access to exemplary experience and knowledge within arm's reach. Get all the program details by visiting the St. Mary's School of Nursing website. West Virginia Wesleyan College, located in Buckhannon, offers a BSN program which aims to prepare nursing leaders. Small class sizes with a 13:1 student/faculty ratio promotes an intimate and collaborative learning environment. A state-of-the-art simulation laboratory provides hands-on experiences for students. Follow the link to learn more about the West Virginia Wesleyan College nursing program. South Charleston’s BridgeValley Community & Technical College offers a 2-year ADN program. Students take a mix of general courses and professional major courses to obtain the knowledge and skills required to find success as a registered nurse. Graduates are well prepared to utilize nursing judgment and provide patient-centered care. Follow the link to learn more about the BridgeValley Community & Technical College nursing program. Are we missing your school's program or need to update information listed? Please contact us so we can make the necessary changes.